Regular selfie takers may need to slow down a bit as this habit may cause damage to our skin and appearance. Experts believe that taking too much selfie can make you appear older. In fact, dermatologists at the Facial Aesthetic Conference and Exhibition in London believe that regularly exposing the face from smartphones, which emit light and electromagnetic radiation, can damage the skin, promote wrinkles and speed up ageing. 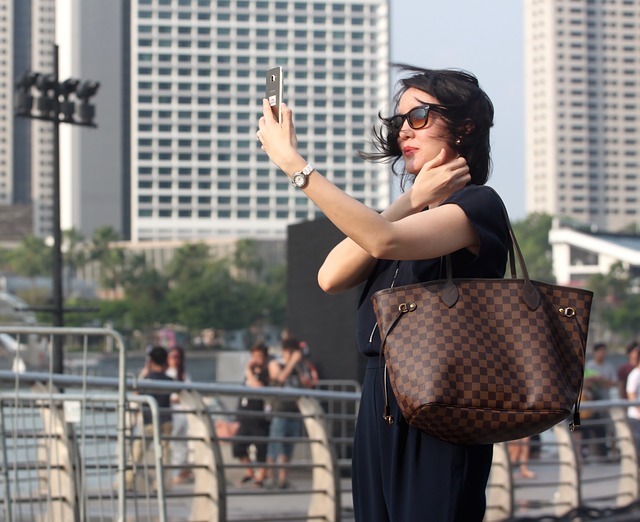 Dr. Simon Zoakei, Medical Director of the Linia Skin Clinic, said people who take a lot of selfies such as bloggers should worry about the dangers of such activity. While there are a lot of products available in the market, he said sunscreens will not protect the skin from radiation emitted by gadgets since it’s a different wavelength. “Even the blue light we get from our screens can damage our skin,” Dr. Zoakei explained. Famous dermatologist Dr. Zein Obagi, founder of the Obagi Skin Health Institute in Beverly Hills, revealed that he can tell whether someone uses their right or left hand to hold their phone just by simply looking at which side of the face is most damaged. “You start to see dull dirty looking texture that you cannot identify on one side of the face,” he added. Dr. Obagi said that while sunscreens may not work, saturating the skin with anti-oxidants can prevent damage. “This magnetic field is altering the minerals in the skin. A sunscreen will not protect you. But if you saturate your skin with anti-oxidants it can help prevent DNA damage from electronic devices,” Dr. Obagi said. Selfie, according to about.com, is a picture of yourself usually shared on any social networking website. While everyone can take selfies, the younger ones seem to be particularly involved in this trend. While taking a selfie may seem harmless, a number of reported cases of injuries and deaths have occurred during or right after taking a selfie. In 2015, it was revealed that selfie-related accidents had taken more lives worldwide compared to shark attacks.